This review has been a long time coming, so apologies to anyone who has been waiting for me to upload it! 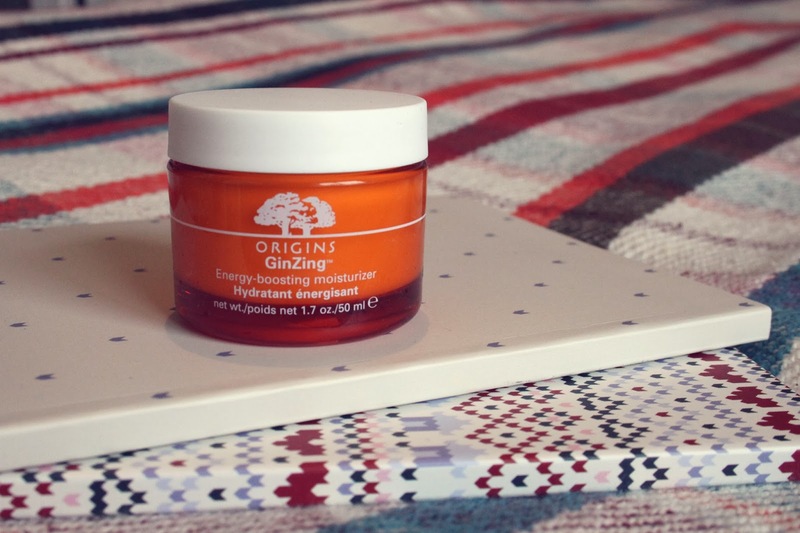 I know I said weeks ago that a review of the Origins GinZing moisturiser was coming soon when I posted a snap on Instagram, and it has been in my drafts for a while now but other things seemed to come up that I wanted to blog first! Anyhow, I really, really wanted to talk about this as it has become a firm favourite of mine and secured itself a worthy spot in my daily skincare routine, replacing my usual morning moisturiser. You might have already seen it mentioned in my January Favourites post, but I thought I’d go a little more in depth for you! First off let me just state that this was gifted to me as part of the #AlproAM challenge I took part in a few weeks back, but it has been on my radar for a while after seeing other bloggers rave about it. I’m always a little reluctant to believe the hype with products that cause such a wave across the blogosphere, so when I received it I wanted to give it a good test before giving my opinion. I have very sensitive, spot prone skin that many products aren’t right for, and I’ve spent a lot of money on expensive skincare in the past that I’ve ended up getting rid of as they really didn’t agree with me, so I was especially reluctant to give this a go, seeing as I’d only really just managed to find a routine that worked for me. I decided to test it out though, and I’m really glad I did! The smell of this is incredibly fresh with a fruity orange citrus burst, and it has a lovely lightweight texture, making it perfect for morning application. It soaks into the skin quickly and isn’t greasy at all. A little goes a long way so I’m pretty sure this will last me until the end of the year, so it’s amazing value for money. It really does what it says on the tin, and wakes up your skin at the start of the day. My face feels refreshed and zingy after using this, and my make up goes on like a dream afterwards. I’m super impressed with this and now that I’ve popped my Origins cherry I’m really keen to try more from the range. Do you have any recommendations from the Origins collection? "THE BODY SHOP – HAIR CHALK"
"BIRTHDAY CELEBRATIONS AT THE HILTON DOUBLETREE HOTEL, MANCHESTER"
This sounds wonderful! I'd love to try more Origins products. I've never tried origins products. I do remember though smelling an origins scrub once in store which was incredible! Thanks for recommending it. I love this Origins moisturiser, it smells like Orange Creme from Quality Street mmmmm.